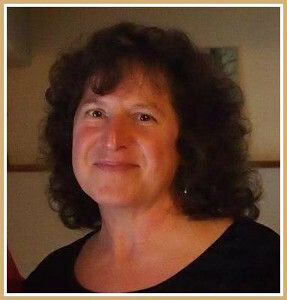 Hi, I'm Karen Miller and I live in the beautiful Finger Lakes Region of New York, USA. You'll find my sewing ramblings at Karen's Quilts, Crows and Cardinals blog. I've sewn most of my life and have always loved the needle arts, but I didn't start quilting until 2008 when my sister invited me to join a $1 block of the month. After that I was hooked on quilting. These days you'll find most of my work centered around wool and cotton applique with simple piecing and designs that often include a bird. My entire family, including our flock of grandchildren, just love to watch, feed and photograph birds, and we're fortunate to live in a part of the world where we can observe a wide range of them. You can see my first two bird-oriented designs published on the Moda Bake Shop and available here on FaveQuilts! I recently started Redbird Quilt Co. where I design and publish patterns that share my love of wool and cotton applique and my passion for free motion quilting. You can keep up on my latest pattern releases by following me on Craftsy. I'm also thrilled to be teaching the joy of applique and free motion quilting. You can visit my web site or Facebook page for upcoming classes. I hope you enjoy the tutorials and patterns available on FaveQuilts -- what an awesome resource for free quilting information. I'm honored to be among the fantastic designers featured here! I invite you to follow me on any or all of the social media listed to keep up on current happenings!